Apple - iPhone 4S - iCloud. Your content. On all your devices. Your music and TV shows. Wherever you want them. Download a song or album. It appears on all your devices. With Photo Stream, you can take a photo on one iOS device and it automatically appears on all your other devices, including your Mac or PC. 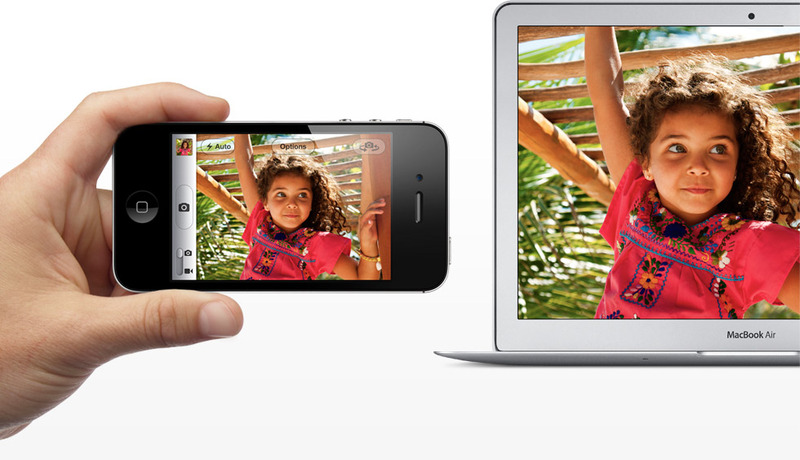 Import new pictures to your computer from a digital camera, and iCloud sends copies over Wi-Fi to your iPhone, iPad, and iPod touch. You can even view recent photos on your big-screen TV via Apple TV. There’s no syncing, no email attachments, no file transfers. Your pictures are just there — on whichever device you happen to have handy. Take or import a photo. See it on all your devices. 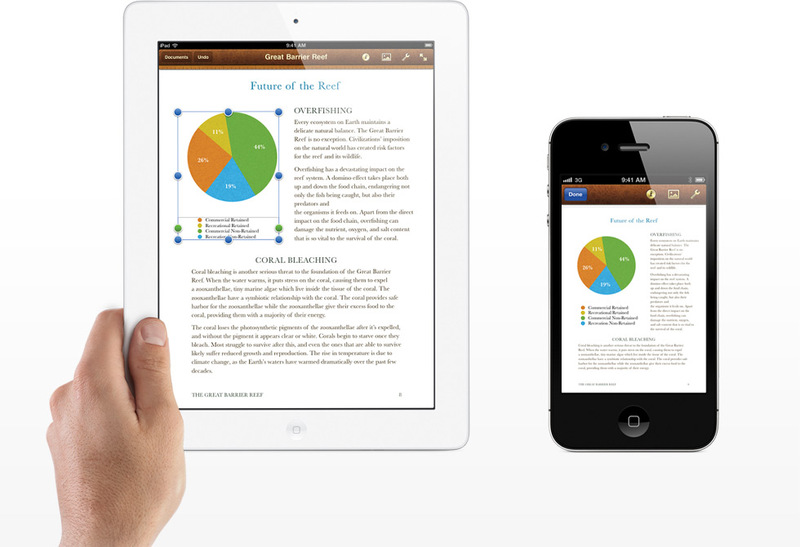 You can create amazing documents and presentations on your iPhone, iPad, and iPod touch. 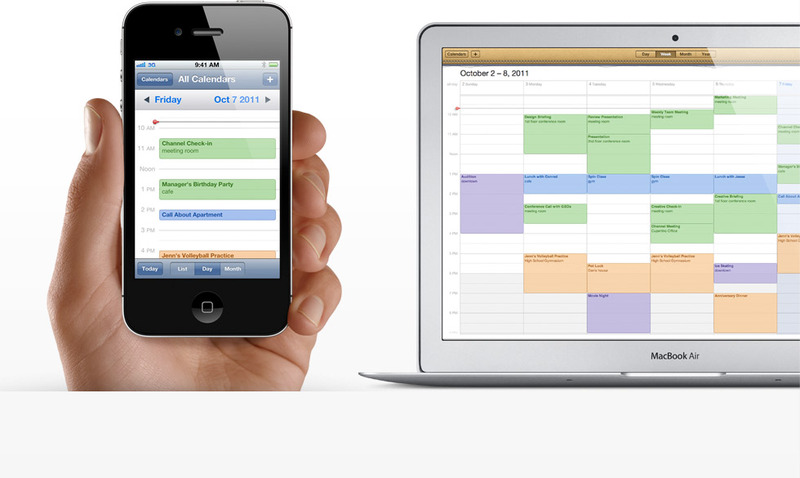 And now with iCloud, you can keep your work up to date across all your iOS devices. You don’t have to save your work or transfer any files. Your documents — with all your latest edits — automatically appear everywhere. iCloud is already built into Apple iOS apps like Keynote, Pages, and Numbers. It can also work with other iCloud-enabled apps. So you can do things like create a spreadsheet on your iPad and make edits to it on your iPhone. 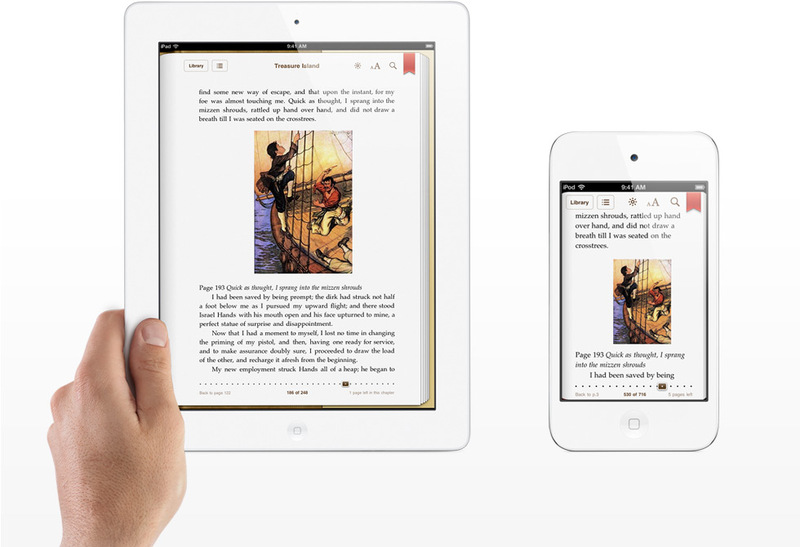 Or start sketching on your iPod touch and add the finishing touches on your iPad at home. Create or edit a document. 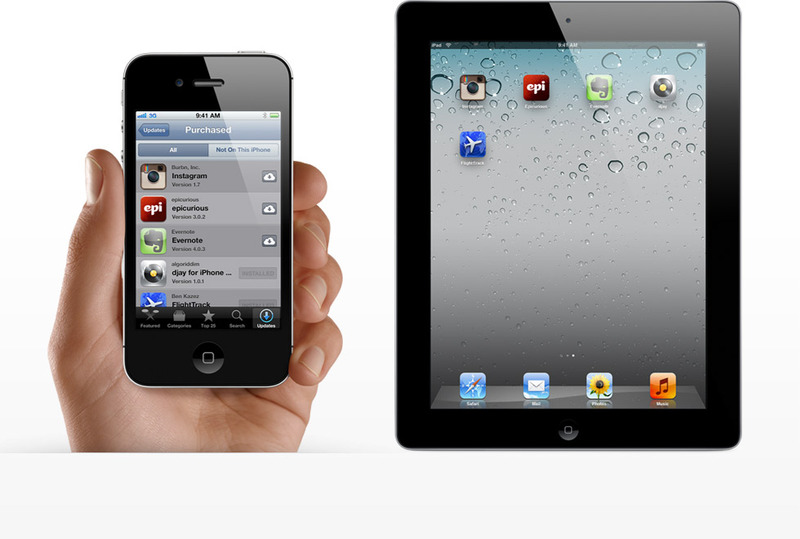 It stays up to date on all your iOS devices. All your apps. Always at hand. Download an app. It shows up on all your iOS devices. All your devices are on the same page. off on your other iOS devices. iCloud stores all the stuff you can’t live without — your calendars, email, and contacts — and keeps it up to date across all your devices. Say you delete an email, add a calendar event, or change some settings. iCloud makes all your changes everywhere. Same with your notes, reminders, and Safari bookmarks. Make or edit an appointment. See your changes on all your devices. iCloud backs up your iOS device daily over Wi-Fi when it’s connected to a power source. From your Camera Roll and messages to your device settings and ringtones, everything is backed up quickly and efficiently. And since iCloud is built into iPhone, iPad, and iPod touch, you can restore your personal data on a new iOS device or one you already have without using a single cable.3 iCloud does it all for you over Wi-Fi. For finding your way to the party, keeping track of family at a crowded amusement park, or getting picked up at the airport, Find My Friends is your app.4 You can give friends and family permission to see your whereabouts. And vice versa. When you don’t want to be found, a single switch takes you off the grid. Simple as that. 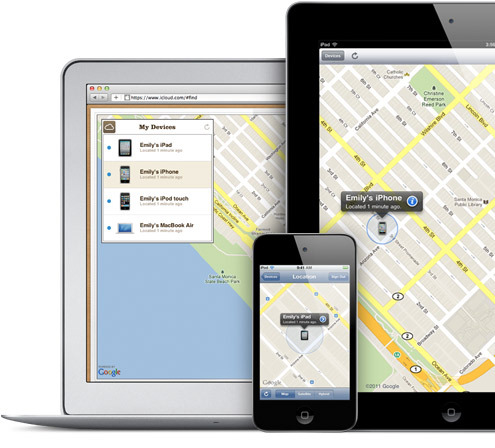 If checking all the usual spots hasn’t turned up your missing iOS device, Find My iPhone, iPad, iPod touch, and Mac can help.4 Just sign in at icloud.com or use the Find My iPhone app on another device to locate yours on a map, display a message on its screen, remotely set a passcode lock, or initiate a remote wipe to delete your data. Order your iPhone online and get it delivered to your door. It ships free and ready to use. Buy now from the Apple Online Store. Buy iPhone at the Apple Retail Store and we’ll activate it and set it up just the way you want. Buy iPhone 4S at the Apple Retail Store. 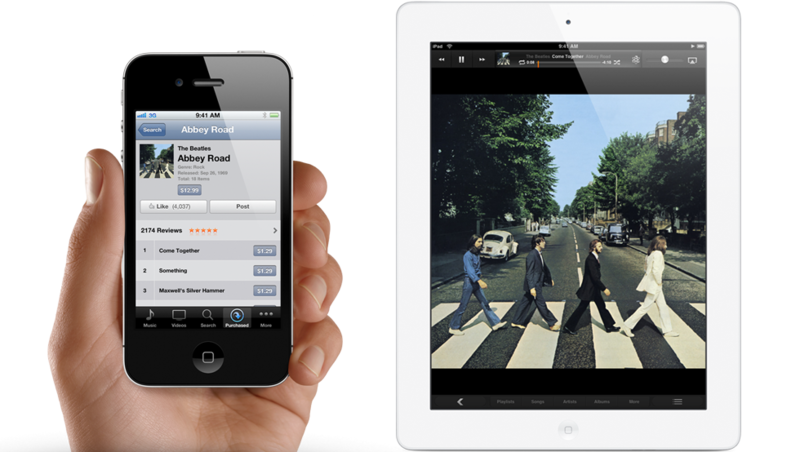 Automatic downloads and downloading previous purchases require iOS 4.3.3 or later on iPhone 3GS or later, iPod touch (3rd and 4th generation), iPad, or iPad 2; iOS 5 on iPhone 4 (CDMA model); or a Mac or PC with iTunes 10.3.1 or later. Previous purchases may be unavailable if they are no longer in the iTunes Store, App Store, or iBookstore. 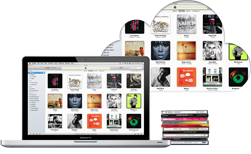 Download iTunes 10.5 free. Backup of purchased music is not available in all countries. Previous purchases may not be restored if they are no longer in the iTunes Store, App Store, or iBookstore. 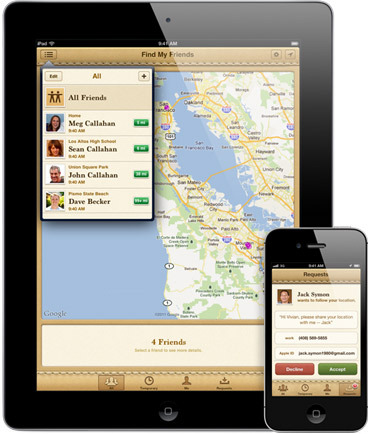 Find My Friends and Find My iPhone enable you to locate iOS devices only when they are on and connected to a registered Wi-Fi network or have an active 3G data plan. iCloud requires iOS 5 on iPhone 3GS or later, iPod touch (3rd and 4th generation), iPad, or iPad 2; a Mac computer with OS X Lion; or a PC with Windows Vista or Windows 7 (Outlook 2007 or 2010 or an up-to-date browser is required for accessing email, contacts, and calendars). Some features require a Wi-Fi connection. Some features are not available in all countries. Access to some services is limited to 10 devices. © 2011 Google. Map data © 2011 Google.